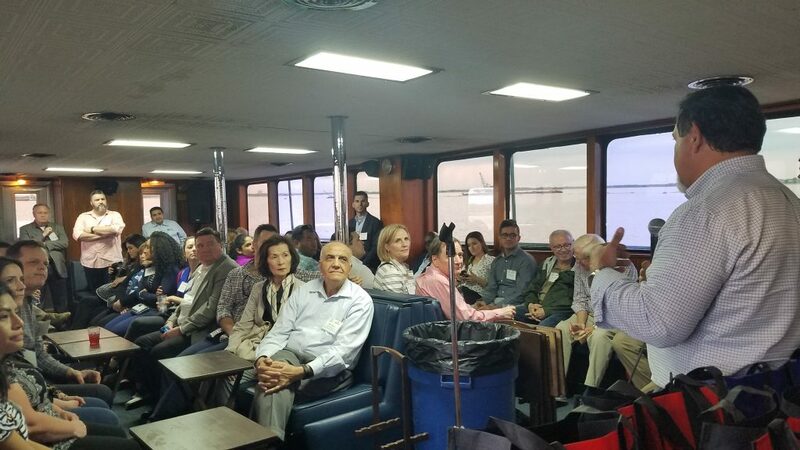 Members and guests of the Greater Houston Coffee Association enjoyed networking and a tour of the port of Houston aboard the M/V Sam Houston on April 25, 2018. 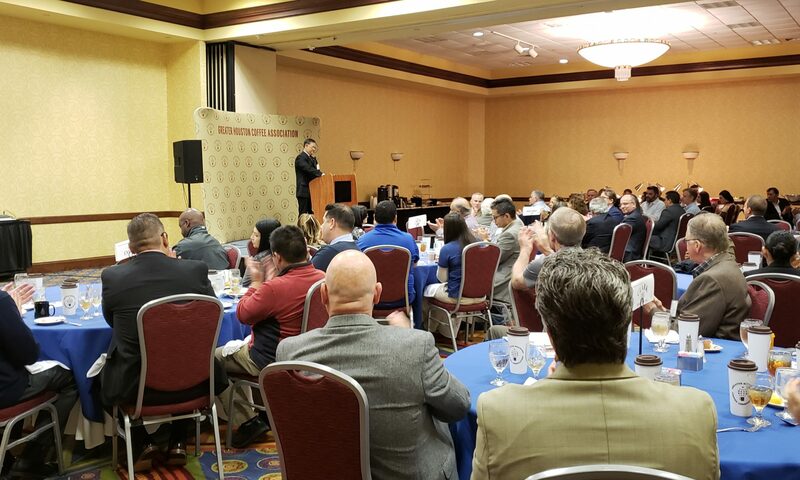 The tour left from San Jacinto Battleground, just a few hundred feet from the Battleship Texas, and made its way to Barbours Cut Container Terminal. 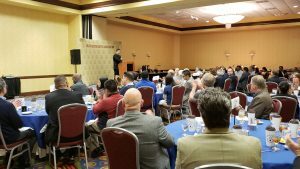 Barbours Cut, the older of the two Port Houston container terminals, celebrated its 40th anniversary last year. 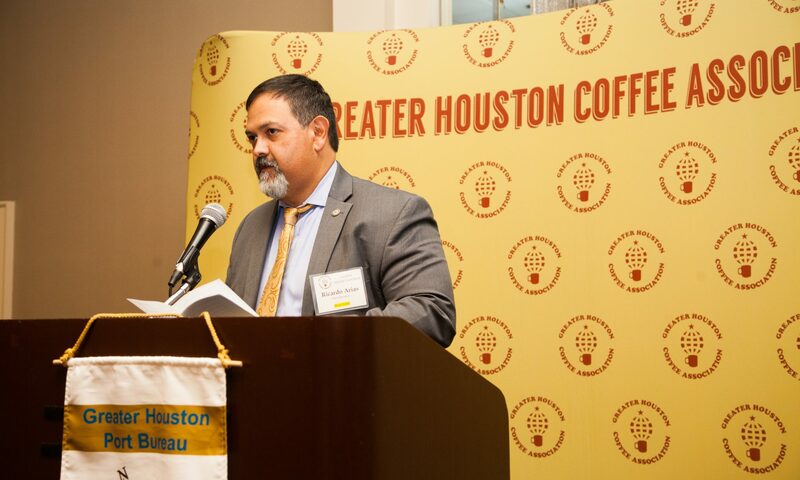 GHCA president and Port Houston trade development manager Ricardo Arias narrated the tour, highlighting the history of the port and its container trade. The new container cranes at Barbours Cut rise 405 feet high. 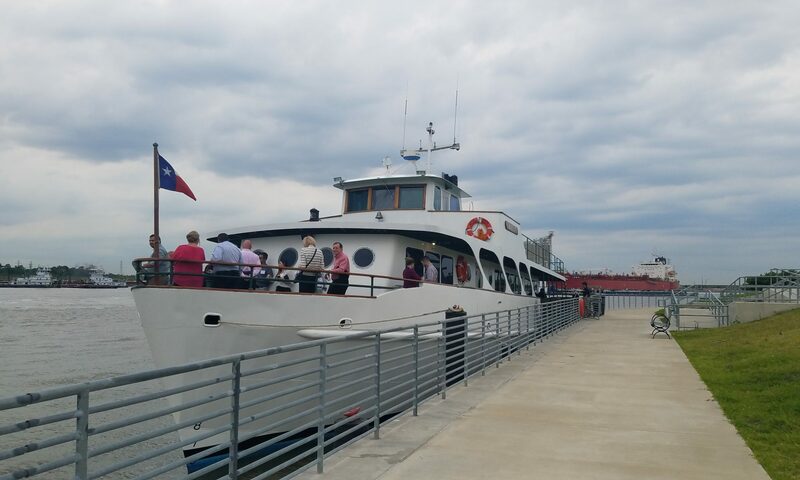 GHCA guests were able to see them up close on the M/V Sam Houston tour. GHCA guests hear the history of Barbours Cut Container Terminal. Registration open for Port of Houston boat tour on April 25! 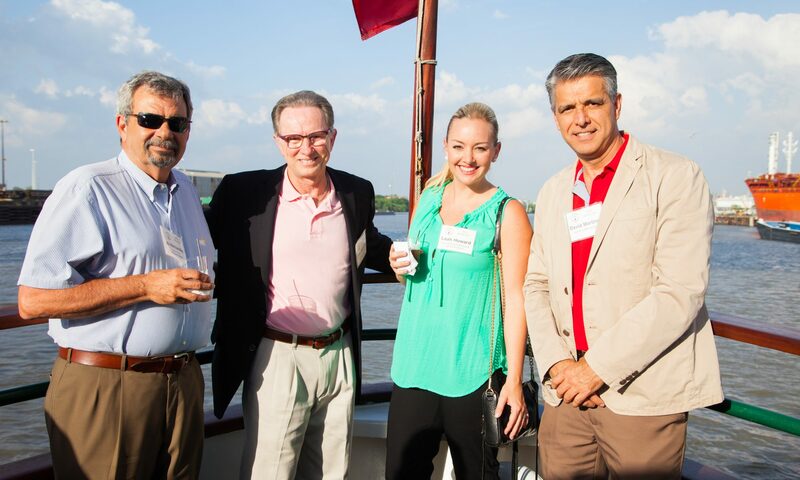 See a part of the Houston Ship Channel few get to experience on this unique M/V Sam Houston Dinner Tour. 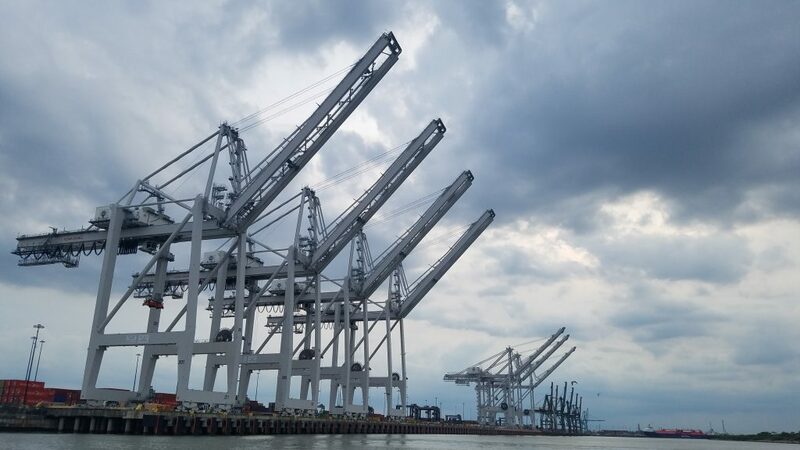 Unlike most tours on the M/V Sam Houston which focus on the Turning Basin, this tour leaves from the San Jacinto Battlegrounds near the Battleship Texas and passes Barbours Cut, one of the two primary container terminals in Houston. 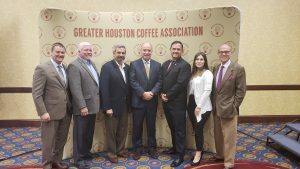 GHCA President Ricardo Arias will narrate the tour, providing insight into Port Houston’s container business and the coffee trade. 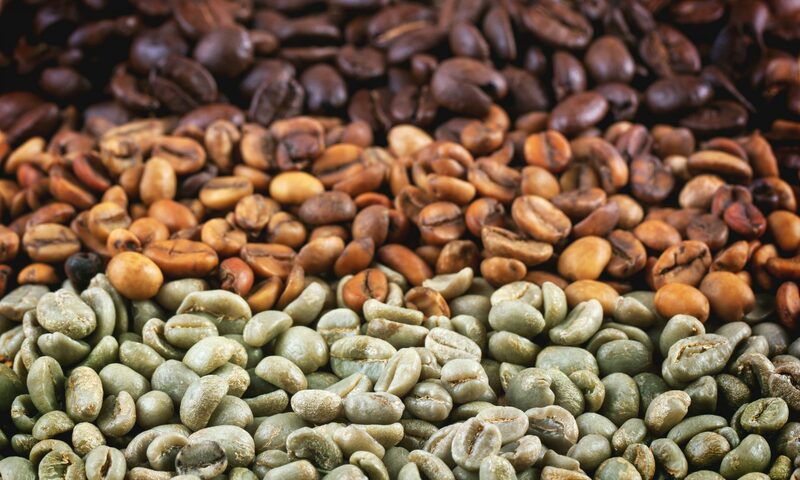 Visit the Events page to register today!